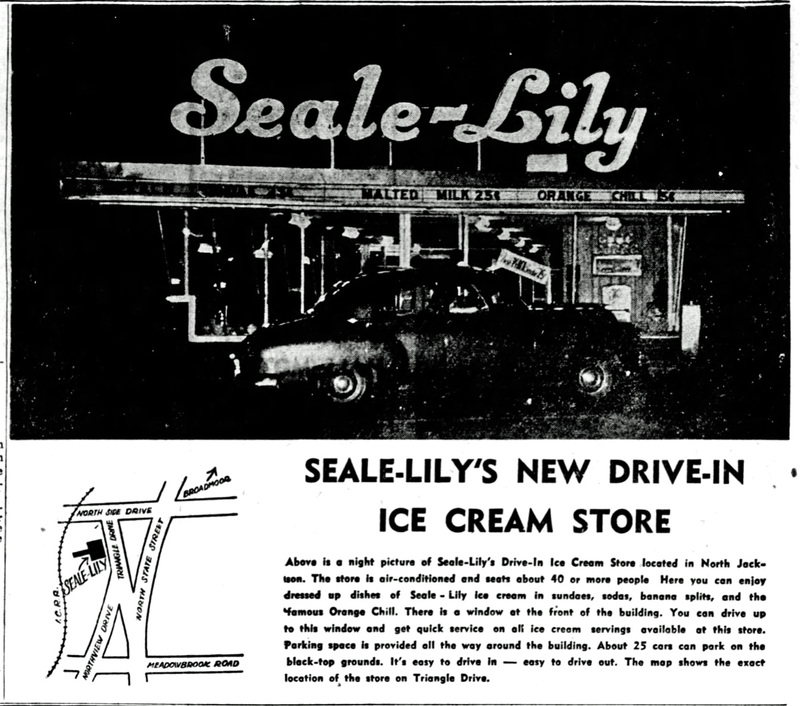 A few weeks ago in the deep midwinter, I posted the only picture I have found of the Seale-Lily Ice Cream Shop once located in the Fondren neighborhood of Jackson. Or at least I thought it was the only picture I had found. 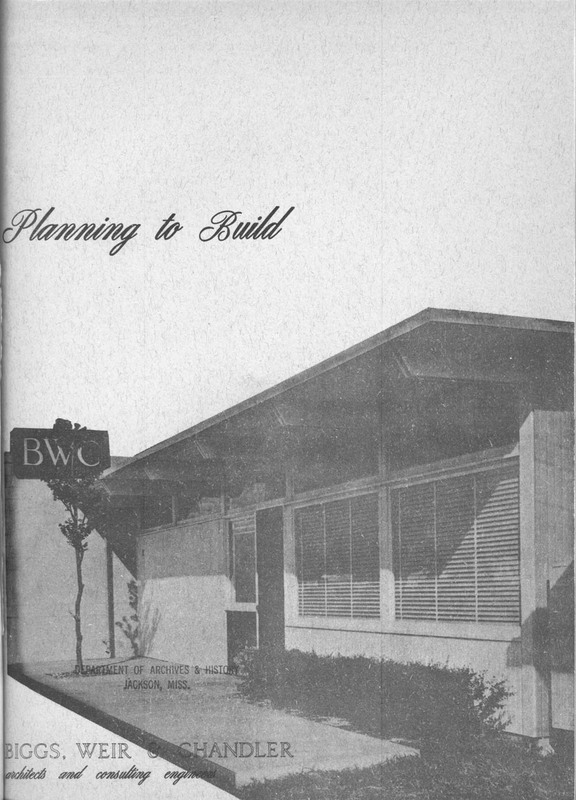 Then yesterday, as I was flipping through a copy of the Biggs, Weir, & Chandler architectural firm’s portfolio–titled Planning to Build and produced in 1954, according to the MDAH Archives catalog–I came across this image, which I had seen before but never really paid enough attention to. My first thought was, EUREKA, I’ve found an interior of the Fondren Seale-Lily! Hmmm . . . “on second thought” is such a downer. When I first started looking at it, I thought it must be the funky Fondren store, although it seemed like the drive-in’s big windows would have shown up more, but on second and third looks, I think it must be another store because 1) the Fondren Seale-Lily was a big glass box and surely we would see some of those windows and 2) the light fixtures don’t seem to match–the ones in the interior view are flush with the ceiling, while those in the exterior view appear to be large schoolhouse-type fixtures. So I don’t know which store the Biggs, Weir & Chandler image is from, but I’m pretty sure it ain’t the funky Fondren drive-in. Any longtime Jacksonians know the answer? It’s starting to feel like ice cream season again, isn’t it? Seale-Lilly of Hattiesburg moved from its south main location at about this to its Hardy street location. Ed Polk Douglas lived near that location. What about it, Ed? I remember growing up in the late 50s early 60s in Jackson and going to Borden’s Ice Cream on Hwy 80 close to the Drive In Movie, Alamo Plaza and Mart 51. I believe the ice cream factory was behind where you could go inside and have ice cream. Linda Seale Burwell, spouse of Jim Burwell, will have all the history you need, in all probability. Jim and perhaps Linda, can be found on FaceBook . . . they live across the street from Pig & Pint BBQ stand on N. State Street. 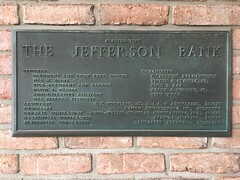 The 1955 Jackson City directory lists the locations as 832 Capitol Street West, 112 Griffith Street, 1002 Lynch Street, and 121 Triangle Drive. The offices and production facility of the company were located at 110 Griffith Street East, presumably next to the Griffith Street store. 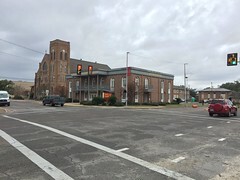 That location is in Jackson at approximately 123 E. Griffith Street. It is now a parking lot, what else? It was part of the ice cream factory which was where the parking lot is now. The reason I know is that I had friends who went to Central High School and it was an after school hang out, a “malt shop” like in Happy Days, complete with a juke box. The factory entrance was off Farish Street. The Borden’s ice cream shop across from Battlefield Park was part of their factory. The drive in theater was the “Varia”. Yes, unfortunately the building was demolished just a few years ago for yet another Walgreens. Ate myself sick in that store once! Yep, must be the Griffith Street store because it’s definitely not the “all glass” Triangle Drive store, unfortunately. I spent so much time in that north Jackson (now technically Fondren) store as a kid I can still vividly picture it in my mind, from front window, to indoor booths and stools, to parking in back. 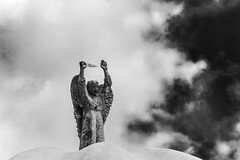 hey, y’all—and, yes, we are getting ready for another snowstorm, although the worst of it stretches from dc up through new england– we will get the western edge–but, then, we already have at least 2 ‘ on the ground from last week’s event! okay, am trying to think— did seale-lily, hattiesburg, move from south main street to hardy street, near kamper park, or am in off? and, yes, since i grew up on mamie street, near hardy, perhaps it was equi-distance from the old location to the new one— or, did seale-lily move further out hardy? This is great except for the part about it being in Fondren. I grew up not far from there and we definitely were NOT in Fondren!! There was never a Seale~Lily in Fondren. The only Seale~Lily on the north side of Jackson was at Triangle Mart (121 Triangle Drive) . 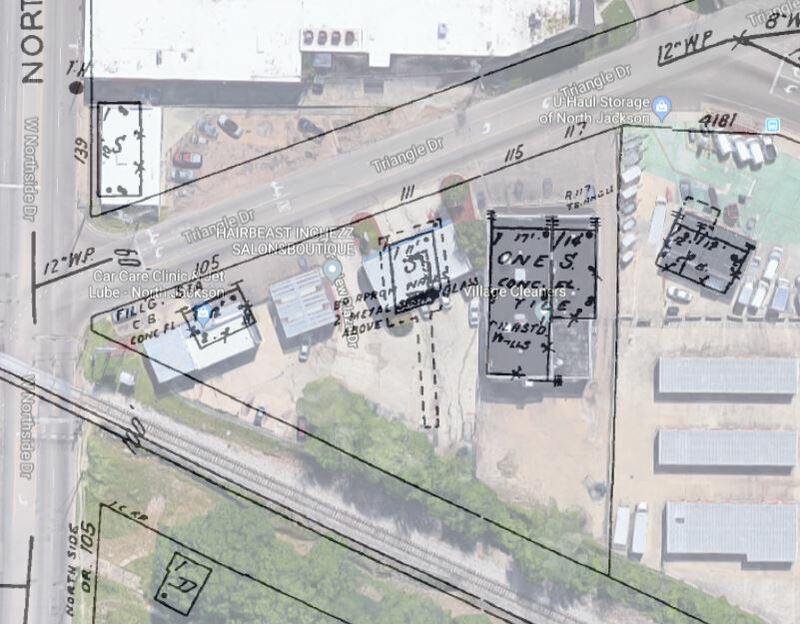 There was a Seale~Lily at 832 West Capitol Street (across from Poindexter Park), another location at 112-116 East Griffith Street (adjacent to the ice cream creamery), and one at 1002 Lynch Street. 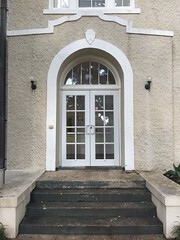 The Seale~Lily office was located at 110 East Griffith Street. W. D. Seale Jr was the President, J. C. Seale Vice President, A. E. Chunn Vice President, Mrs. Juanita White Secretary-Treasurer. Seale~Lily sold both wholesale and retail. This interior is very similar to my childhood memories of the Seale-Lily on Main Street in Greenwood, The building remains, though the ice cream is long gone. I’m going to send this along to a couple of “older” friends for their opinion. 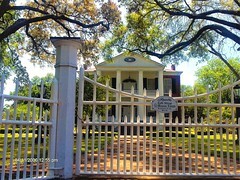 So Hattiesburg and Greenwood both had Seale-Lily stores–where else I wonder? Will have to start looking at 1950s city directories . . . This one was on Triangle Drive. My dad worked there. Greenwood concensus is that this interior is remarkably close to what we remember. 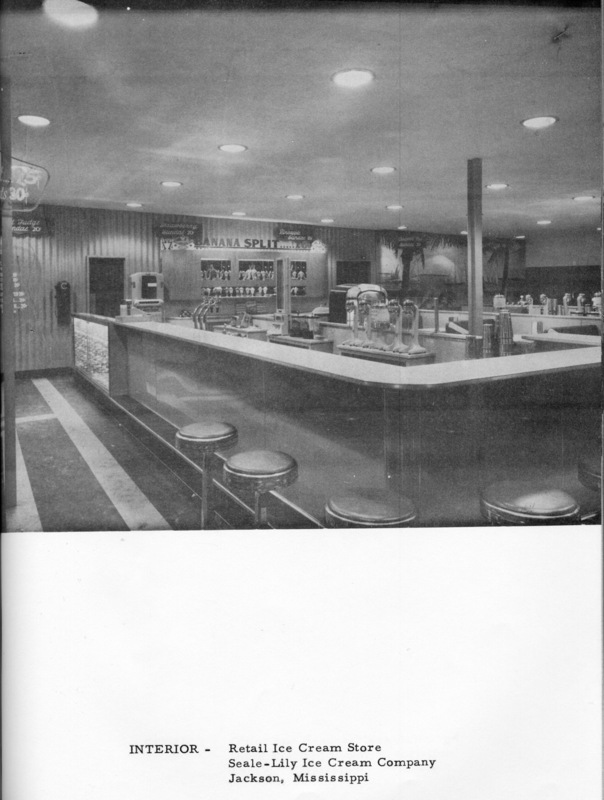 U-shaped counter, high-backed (and uncomfortable) booths, round stools, beaded-board walls. Brought back lots of memories of favorite treats! https://polldaddy.com/js/rating/rating.jsIf anyone has the Seale-Lily artwork of a young woman with blonde hair, I would love to see it posted. This was used in their advertising, and I vaguely remember it from my childhood. The “model” was a teenager who worked in one of their Jackson ice cream shops, and she is a relative of my late husband. The artist worked from a black-and-white photo of her. Thank you! 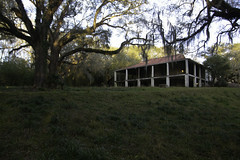 I practically lived at Seale Lily on Northview Drive. We lived on Manila Drive, off Northside Drive three blocks east of State Street, so it was a short walk or bike ride as a kid. Daddy would also load up the family regularly and drive us there, where we would order inside and then sit in the car and wait for the train (Panama Express) to go by. When I had two paper routes, I would ride my bike there almost every day after completing my deliveries and blow a high percentage of my profits. Mrs. Myers was always happy to have us kids hanging out at the counter, and several of my friends worked there also. Seale-Lily! Bob Neblett used to give the weather forecast and eat Seale-Lily on the air! I was so jealous.